Local Computer Repair Service shops always beat out Big Box store service. Unfortunately, people often pick big name businesses, thinking big means better. Unfortunately, when it comes to computer repair service, or most any other type of service, the opposite is true. Where can you get quality computer repair service in Tucson? Who can do a virus removal & repair that will last? You may ask, “who can fix my computer that I can trust”? Can they do laptop screen repairs? What about MAC and MacBook repair? Android repair? Will they guarantee their work? Small Business Computers: Is Office 365 or Google Docs better? The release of Microsoft’s new Office 365 brings great new possibilities for Small Business Computer environments. How? Wouldn’t it be great if your business computers could get the power of Microsoft Office, with the convenient web based, cross-platform functionality of Google Docs? Working on the same documents from your PC, Laptop, MAC, Tablet, or even your phone? How about having your documents in the cloud, accessible from almost any device, anywhere? No more thumb drives. No more setting up special VPN connections to your office network! 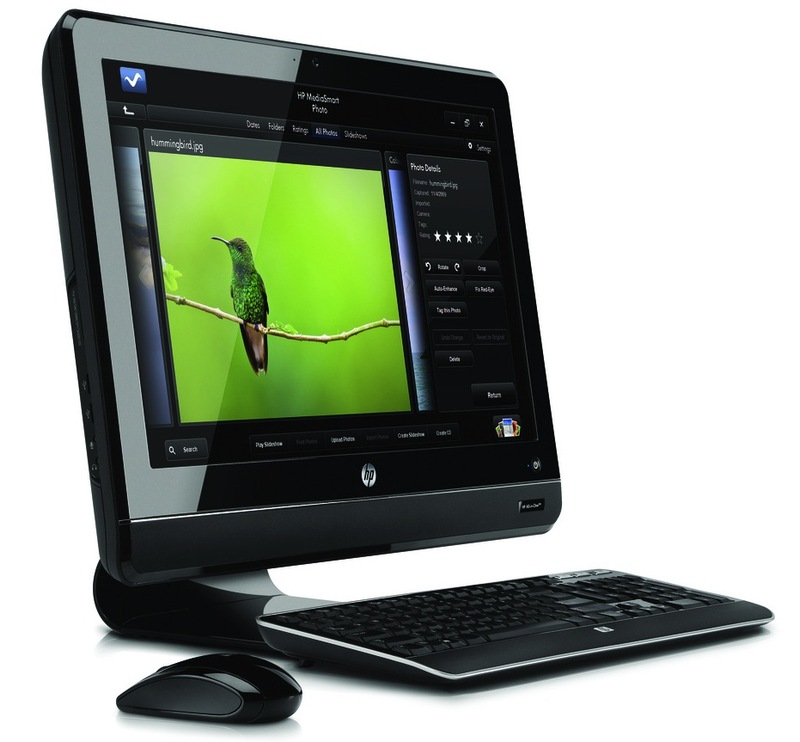 After years of being the “weird kid on the block”, the All-in-One desktop PC is now becoming mainstream with the release of Windows 8. With the touch screen capability of the new Windows, these PC’s are now attractive. People seem to like their similar look and feel to tablet PC’s. Windows 8: A Computer Repair Guy’s Thoughts. As a computer repair shop owner here in Tucson, I thought I’d share my experience and impressions of Windows 8 to help people make sense of this drastically new version of Windows that we’ll all have to get used to sooner or later. I’ve been playing with Windows 8 since the preview release came out in the summer. In the PC Repair business these days, we are hearing more people say they can buy a computer for almost the same price as repairing their existing PC. So why bother doing the repair? An good repair shop will tell you if your computer is worth fixing or not. If they value your continued business, they will be honest with you. Some people like replacing their computer every year or two, so they they keep buying cheap, low end machines. Problem is, their user experience will be awful. Slow performance, crashing, lockups, bad battery life and lousy WiFi reception are some of the hallmarks of cheap PC’s. Then they have to transfer over all their data, install all their programs, and redo all their personal settings. Hey if you like this, knock yourself out. The PC repair realm has a new challenge. All-in-One desktops are now all the rage. These are the type of computers that have the CPU and screen in one single unit. In other words, there is no separate tower. This is a real space saving and convenient design. MAC desktops took this form years ago, and now Windows desktops are following suit. There is one drawback to having this type of unit however. Maintenance and the cost of repair. The main issue is heat, which wears down components or burns them out. They really cram lots of components into a small space, so they tend to run hot. These units are basically laptops on a stand, with the LCD screen attached, so they are more expensive to repair, just like laptops are. They tried making these PC’s several years ago, but it was a disaster because back then, processors chips and hard drives ran very hot. It’s a lot better now with the lower voltage, cooler running components, so it’s a better unit overall. Still, you have to be careful. Here’s some tips to help you. 1) Keep the unit in a well ventilated area, so it can get air to pass through it freely. Keep the surrounding area free of dust, so it doesn’t get into the vents and clog things up. If the PC will be in a dusty area, like a workshop, don’t get one in the first place. 2) Don’t run too many programs at the same time, or run heavy duty applications, like video editing or high-end games. This works the PC very hard and generates lots of heat. 3) Check your start-up programs and any other background programs that may be running. If too many are running, this works the PC harder and generates more heat. If you know how to check for these, by all means do it. If not, take your unit to a computer repair technician and have them tweak and tune up the PC so it runs less background programs. Feel free to buy one of these types of computers if you like, but just keep the above tips in mind. Do not buy one if you’re a heavy gamer or if you work your computers really hard. They’re not designed for that type of use. If you’re a casual user that mostly uses the internet and email, these units are just fine. I hope this helped you. If you need any more information or have more PC Repair needs or questions, please see the Saguaro PC Tech website for our conntact information. Thank you. You see free diagnostics advertised everywhere. This subject needs lots of clarifying. It’s a touchy subject that angers both customers and computer repair shops alike. I’m no exception. First, lets address the confusion. What exactly is a diagnostic? 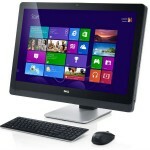 … Is it a quick look at your PC and an educated guess? … Is it a thorough testing of all your hardware and software? … Is it a thorough troubleshooting and testing service? The answer is yes to all of these. Therefore the question becomes, what can you expect for free? Do you really expect a repair shop to spend hours working on your PC for free? Do you think they can survive if they do this? Let me ask you this… do you work for free? What would happen if you did? Could you survive? 2) A quick look at your PC to get a general idea of the problem, i.e. a quick consultation. Any honest repair shop will take a quick 10 – 20 minute look at the problem, or even do a simple repair for free, but that is all. However, some computer problems are complex to the point that even an experienced technician will not know what the problem is unless he or she does some in depth troubleshooting. That is not free, nor should it be. Honest shops will not charge for all their time in these more complex cases if you decide not to do the repair, but they will charge a small diagnostic fee, usually somewhere between $30 to $60 (more for laptops). They still lose money, but at least they get something for their time. The dishonest shops will pretend they did a diagnostic and then make up a story to get you to do an expensive repair, like replacing a hard drive, motherboard, or reinstalling Windows. This is also what usually happens with Big Box stores (including Office Supply stores). They also use this method to sell you a whole new computer. Do not pressure a repair shop to do a free diagnostic. If you do, they’ll either turn down the job and send you away, or recommend a major repair. They can’t spend the time to do a thorough diagnosis unpaid, and will recommend a broad range (i.e. major) repair to cover all the bases, which will definitely fix your computer. If you’re fair to them, you may get out with a $100 repair. If not, it may be $400. This is more survival behavior than dishonesty (yes, I know it’s a fine line). They have bills to pay, and a need for food, clothing and shelter, just like you. Does your laptop shut down on its own? Does it get so hot you can’t keep it on your lap? Does the fan scream or make grinding noises so loud it scares you? If so, you could be having overheating issues. What’s happening here? First of all, if the processor (CPU) gets too hot, the laptop will shut itself down to protect it from burning out. There are other reasons for unexpected shutdowns, but this is a major one. This can also happen if the video (graphics) chip overheats. This could happen for several reasons, but the major causes are as follows. It could be gunked up with dust or pet hair, preventing the air flow of the fan. Sometimes the bearings on the fan go bad, resulting in grinding noises. Dust and hair can either damage the bearings directly, or block the fan from rotating freely, which in turn can damage the bearings. In this case, the laptop will shut down on its own, or the fan will run really fast. Why? There is a thin film of heat conducting “grease” that sits between the CPU itself and the surface of a metal plate called the “Heat Sink”. It’s like a radiator and has thin metal (usually copper) fins to help dissipate the heat from the CPU. The thermal compound forms a seal that ensures full contact between the CPU and the heatsink, so that it efficiently pulls off the heat. Over time, it can dry up and crack, breaking that seal. Old, dried up compound also loses it’s ability to transfer (pull off) heat from the CPU. 1. Get a can of air and blow it into the cooling vents of the laptop. You’ll be surprised at what comes out. If you wait too long however, there may be so much caked up in there, this won’t help. The laptop may have to be opened up, so a technician can get in there and clean it up. 2. Broken fans have to be replaced. This is not usually a big job, and the fans are cheap. On some models however, the fan and heat sink are an integrated assembly and you have to replace the whole cooling system. This is a bit more expensive, but still not too bad. 3. Remove the old thermal compound and put on a fresh layer. This costs a little more, as you have to remove both the heat sink and fan, so you can get to the CPU. When we do this, we use a higher quality compound than what the laptop came with. We use a silver-impregnated compound that makes the laptop run up to 10 degrees cooler than standard ceramic compounds. We can help you with these, or any other Computer and Laptop Repair issues. If you’re reading this post from outside our website, click this link to our Tucson Laptop Repair website to learn more. Thanks for reading, and check back for more helpful tips and information. Last updated by Steve Frantzis at May 11, 2016 .